I admitted it was my fault to install and uninstall some applications, but look, all of the applications installed are meant for social networking. It is sad enough for Blackberry to NOT have any Instagram and GifBoom (apparently the new in-thing), or even the basic Blogger is not available for any BB-iers out there. Therefore, Facebook, Twitter and Whatsapp are the must for me in a BB. Installing them isn't the tough one but when they are not properly installed, that's when your headache starts. I thought it is just a minor problem so I Googled the solutions and no, the solutions did not work for my case. 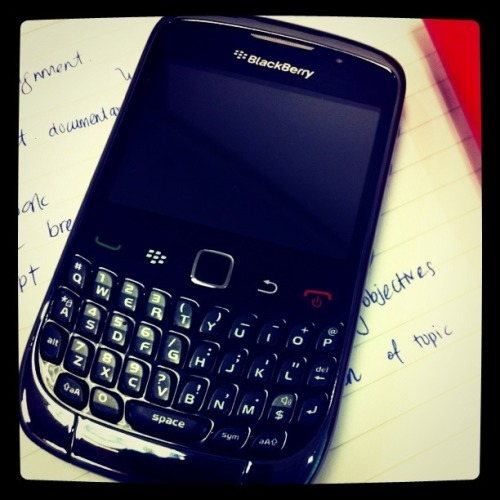 I got so worked up last night and I had decided to upgrade the device to Blackberry OS 6.0. Backup is the most important thing before you wiping off the previous data and install a new one. The whole process of upgrading to OS 6 took around 45 minutes (including restoring the data). The most tedious part is where you need to reinstall the applications all over again! Each installation requires you to reboot the device so you could use it in its best performance. I wouldn't be so stupid to reboot for each installtion done. I downloaded the applications at once and continued the reboot after the installations. Good thing about Blacberry OS 6 is that, the whole process of running through an application is faster and smoother. I love how I customized my BB with Cinnamoroll theme. Here are some of the screenshots of it. ISN'T IT CUTE? Though I don't like pink but this theme is so adorable. I have been using it for 2 weeks until I find a new one. Friends have been asking me to change my phone to iPhone, well my answer is NO!. BBM is so much fun and I prefer to literally press on the keypad rather than touch on the screen. Call me old-fashion but I just love the feeling of pressing keypad. Till then, ciao.